We continually need the help of volunteers on every level. 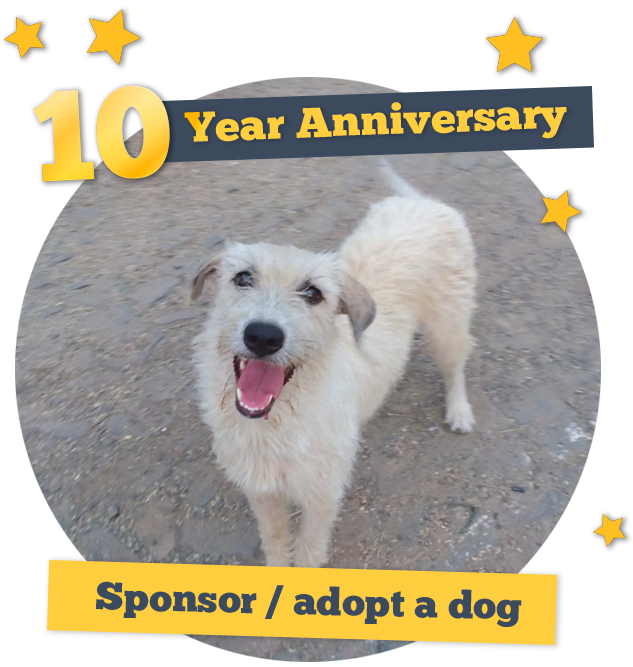 In addition to caring for the animals in Cape Verde, we need administrative help (fundraising, website management, etc.) which can even be done remotely. Raising awareness about the project in doing public outreach is essential in gaining new sponsors and partners. This support would enable us to underwrite our efforts such as gaining adequate space for our rescued animals and clinic operations. Click here to visit our GivingWay page and apply today! In Cape Verde we are always looking for full-time or part-time volunteers, vets (experienced or recently graduated), and non-vets. 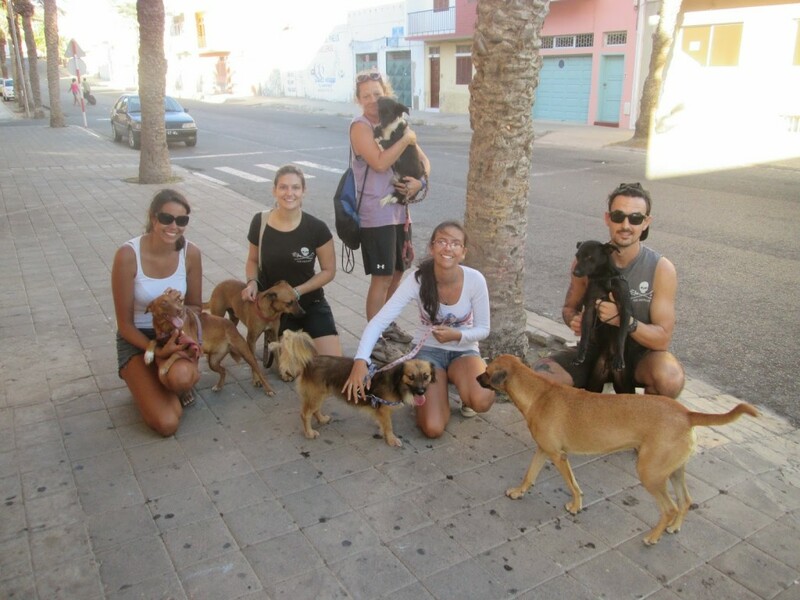 Volunteering on the ground in Cape Verde is an amazing experience and we accept volunteers from all over the world. All volunteers are expressly required to be tolerant, diplomatic, and possess a cooperative spirit (both with local staff, whose contribution is indispensable, and with other volunteers). Also, volunteers must have a willingness to understand a different culture other than their own. In our clinic we handle both stray animals and animals with owners/guardians who have no other place to go. It is important to know how to communicate even though there may be language or cultural barriers. Volunteers should be versatile and capable of handling stressful situations: group life, working in a different context, away from home, in a different climate, with different food options, the continual presence of animals and their owners/guardians that need attention. Working for SIMABO in Cape Verde is a commitment. The work can be physically exhausting and emotionally draining, so that could leave little room for other activities. The goal must be “to bring aid to the animals”. All applicants must be physically fit. Being abroad is not ideal if you suffer from gastrointestinal disorders, allergies and intolerances or other chronic disorders. Working times and time-zone differences do not allow much time to continually contact the family if you have matters that require your attention at home. Information to prepare your journey – visa, luggage, vaccinations, itinerary for island tours, etc. Helping at the cat shelter mainly playing with our lovely guests, tidying up the place, changing the pillowcases, feeding them, washing the plates, and closing the shelter at night. Helping at the dog shelter, mainly walking the dogs and taking care of them, including feeding. Help for cleaning is only requested in case of unexpected absence of staff. Helping at the cat shelter mainly playing with our lovely guests, tidying up and cleaning the place, changing the cat litter, changing the pillowcases, feeding them and washing the plates, closing the shelter at night. Helping at the dog shelter, mainly walking the dogs and taking care of and feeding them. A help for cleaning is only requested in case of unexpected absence of the staff in charge. Helping at the office with communication work as posting news about life at SIMABO, downloading pics taken, making photocopies, updating our site, etc.